Greece has replaced its finance minister in a bid to smooth talks on a new international rescue. 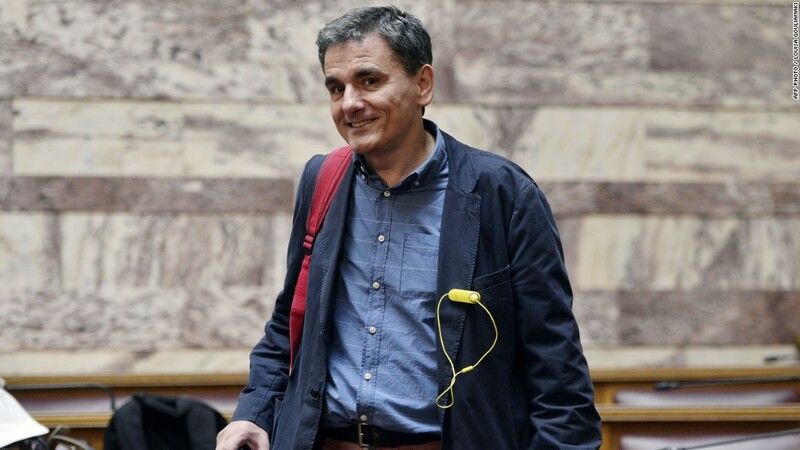 The country's chief bailout negotiator, Euclid Tsakalotos, was appointed to the post Monday after Yanis Varoufakis resigned. Varoufakis had become a lightning rod in Greece's talks with Europe. In resigning, he conceded that his poor relations with other European finance ministers had become an obstacle in the search for a solution to the country's debt crisis. "I was made aware of a certain preference by some Eurogroup participants, and assorted 'partners', for my ... 'absence' from its meetings; an idea that the prime minister judged to be potentially helpful to him in reaching an agreement," Varoufakis wrote in a blog post early Monday. "I shall wear the creditors' loathing with pride," he wrote. During his time in government, Varoufakis refused to adopt the mannerisms of a conventional European politician. Instead, he dressed informally and loudly. He frequently appeared in media, launching biting rhetorical attacks against rival negotiators and governments. While it may have appealed to populists, critics said his abrasive style alienated many in the negotiating room. The switch came just a day after Greece voted against Europe's latest bailout offer, raising the prospect that the country could now suffer a worse economic disaster and lose its place in the euro. Tsakalotos' first task will be to present Greece's ideas for breaking the deadlock at a meeting of eurozone finance ministers on Tuesday. More than 60% heeded left-wing Prime Minister Alexis Tsipras' call to vote "no." He hopes to force Europe to hand over more money with less austerity attached, and cancel some of Greece's enormous debt. Thousands of Greeks celebrated in the streets of Athens after the vote on Sunday. But the result sets Greece on an uncertain path that could force it to abandon the euro and print its own currency -- with huge damage to the economy. Varoufakis, in another blog post, said the vote was a "majestic, big YES to a democratic Europe." "It is a NO to the dystopic vision of a Eurozone that functions like an iron cage for its peoples," he said. -- CNN's Chris Liakos and Zahra Ullah in Athens contributed reporting.